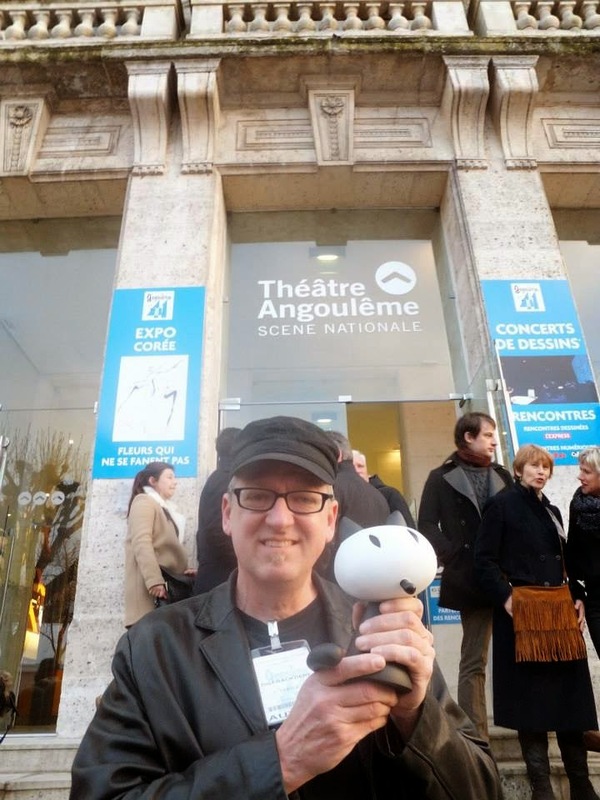 The fine folks at the Angoulême Int'l Comics Fest, who awarded My Friend Dahmer a prize earlier this year, have posited this lengthy interview about making My Friend Dahmer. It's in English! Check it out here. I randomly discovered your blog. I am a french woman and have heard about Jeffrey Dahmer a few months ago for the very first time. I've been reading things online about him ever since. Most serial killers you read about at psychopath and there's no possible way of feeling empathy towards them. Why do I feel so sad about Jeffrey ? I guess watching his interview and reading so much about his childhood has a lot to do. Would be nice to talk with you. PS : Angouleme is a nice city, hope you enjoyed it. I just read your book; it's interesting to read a personal perspective as opposed to what the media has put out. My uncle Craig was Jeffrey Dahmer's college roommate at Ohio State. The dressers had a top drawer that locked, and he would smash or tear them open to steal the valuables or money. I've heard about how when his parents came to take him home, the closet was just full of empty bottles, and his father was shocked and had no idea of how much he drank. My uncle was creeped/afraid by this unpredictable crazy guy; it was getting to the point to the point that my Grandma was almost ready to pull him out of that living situation and make him move. Like everyone else, he didn't find out the whole story until years later. at JD's Ohio State. He pretty much backs up what JenC said - heavy drinking, stealing and an obsession with the young male housestaff.